Join us in the Library's Barrett Room to hear from Conservation Voters of South Carolina (CVSC). Conservation Voters of South Carolina fights for air, water, land, and energy through political action. They are bipartisan and pragmatic. Operating as a 501(c)3 and 501(c)4 organization with a political action committee (PAC), CVSC holds South Carolina legislators accountable for their conservation votes and actions. As a small organization, they can have a big impact. Hear directly from them at this regular meeting of the League of Women Voters of Spartanburg County. As always, this meeting is free and open to the public. Join us to celebrate the holidays and enjoy a relaxed meal together. This event is open to the public. Each attendee will order and pay for themselves, but please let us know if you're coming by Nov. 28th so we can let the restaurant know how many to expect. Despite initial expectation that the Forum could be rescheduled,we ultimately were not able to find a date when all three candidates were available for this forum after we had to cancel the original event due to weather. However, you can learn more about them at www.Vote411.org where they have all responded to questions about their positions - unedited and in their own words. 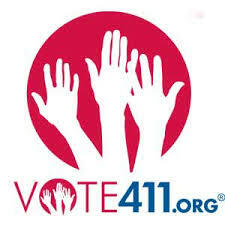 Vote411.org is a non-partisan voter education site provided by the League of Women Voters. Due to weather, the venue for this forum was closed on October 11. We are now pleased to announce that all three candidates will be able to join us on Tuesday, October 30, at 7:00 pm. The location is pending, but we'll post it as soon as it's finalized. Be sure to reserve this evening on your calendar!